Remember SKY HIGH, the Superhero Film From Our Childhood? We Could Be Getting a Sequel… Maybe. Who else had a major crush on Danielle Panabaker's Layla?! This year alone will see eight superhero films hit the big screen. Glass is currently out in cinemas right now and we still have Hellboy, Captain Marvel, Avengers: Endgame, X-Men: Dark Phoenix, The New Mutants, Spider-Man: Far From Home and Shazam! still to come. Let’s not forget the abundance of superhero stuff we have on TV and various streaming services. Most recently, Black Panther received a Best Picture Oscar nomination, the first ever for the genre. But there was a time, where superhero films were considered a rarer species than Lugia in Pokemon. At the time, we nerds we grateful for anything superhero. 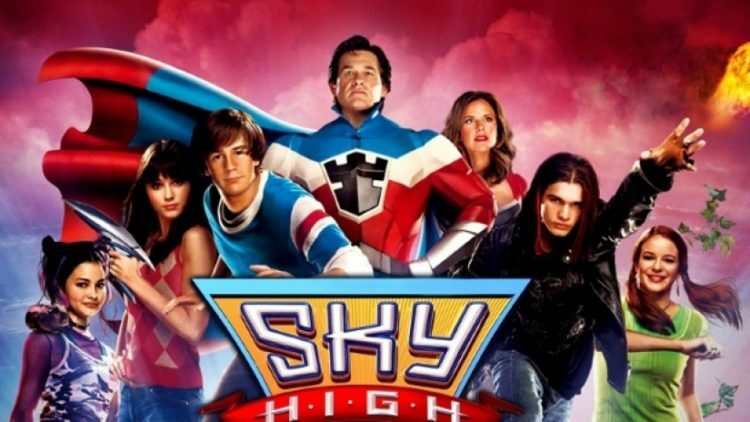 In 2005, Disney tried its hand at the genre with Sky High. The cheesy high school superhero film gained a cult following among 90s kids who were in our early teens at the time. We watched the film over and over again, every time it would screen on Disney channel. But for whatever reason, Sky High failed to spin into a franchise of its own. However, it looks like there were (and maybe still are) plans for a sequel. In a recent interview with io9, director Mike Mitchell discussed the possibilities of Sky High 2. But Mitchell also said that the only way to do it is to bring back all the actors. Given the stages, all these actors are in right now, that seems like a highly unlikely scenario. After her showing in Scott Pilgrim vs The World, Mary Elizabeth Winston has become a Hollywood mainstay, acting in a bunch of acclaimed movies and TV Series including 10 Cloverfield Lane and Fargo. She’s also starring alongside Margot Robbie and Ewan McGregor in the upcoming DC ensemble movie Birds of Prey, which will be hitting the big screens in 2020. Danielle Panabaker, who played Layla on Sky High has been a series regular on CW’s The Flash for the past few years. And Kurt Russell… well, he’s Kurt freaking Russell, isn’t he? We highly doubt he’ll be popping up in a low budget Disney Channel flick anytime soon. Mike Mitchell’s The Lego Movie 2: The Second Part is set to hit the big screens this February.